You guys know that I only gave Kingers the highest quality of pet treats available. 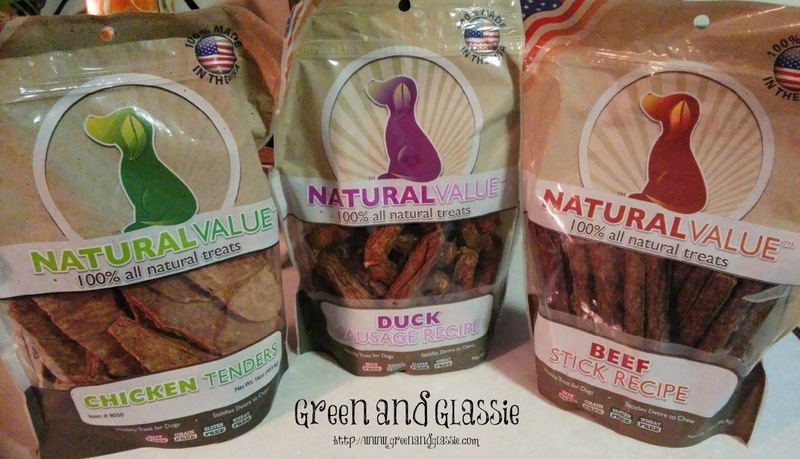 Loving Pets has a great line of quality dog treats made with all Natural Ingredients. I always use the Loving Pets website as a guide to top quality dog products and helpful information about raising a dog.I trust Loving Pets to ensure that I am getting a high quality product that will not harm my dog. It is so sad to hear horror stories about companies that are making products that make dogs ill or death. We only buy natural products made with only good ingredients - no garbage in our dog treats or food. Sign up to receive Loving Pets Monthly Newsletter - packed full of helpful information to ensure your dog has the highest quality of life. 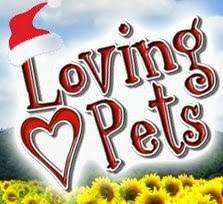 Click Here to sign up for the Loving Pets Newsletter. About a week before Christmas - we received three bags of Natural Value Treats. Check out these amazing treats that Kingers and Diggers LOVE!!!!! Natural Value™ Duck Sausages are 100% farmed and made in the U.S.A. – proof that healthy, safe U.S.A. made dog treats can be affordable. Cooked on open grilling racks to reduce fat and give them a delicious flavor, our Duck Sausages are sure to be your dog’s favorite treat. Since they’re 100% farmed and made in the U.S.A., they should be your favorite too. Natural Value Duck Sausages are wheat, corn, soy, and gluten free, and contain no by-products. These soft-chew treats are perfect for any age or size dog. Natural Value™ Chicken Tenders are 100% farmed and made in the U.S.A. – proof that healthy, safe U.S.A. made dog treats can be affordable. Cooked on open grilling racks to reduce fat and give them a delicious flavor, our Chicken Tenders are sure to be your dog’s favorite treat. Since they’re 100% farmed and made in the U.S.A., they should be your favorite too. Natural Value Chicken Tenders are wheat, corn, soy, gluten and grain free, and contain no by-products. These soft-chew treats are perfect for any age or size dog. These look great. My older dog, a boxer, has always had a super sensitive stomach. I am always looking for natural things to test that she can enjoy with out distress. My little Chug , she can pretty much eat anything. We just got a puppy, so i will need to look into these. These could help with her potty training. If I had a dog still, I bet she would have loved these. I will share this post with my dog owning friends! My dogs would love these,I would buy some if I see them in the stores over here. I have these for my dog. She loves them. Sounds like something great to pick up for hubby. He's a mailman and always takes treats to work for the dogs on his route. Ohhh my spoiled 3 pups would love these! They would probably love the chicken tenders but the duck? That would be a fancy treat! These look awesome and like something my dog would eat. He's picky and is also allergic to gluten and corn. These would be great for my sisters dogs. I know they have a lot of tummy issues. We have some of these treats. My dog loves them. Then again she is a spoiled Husky. I bet my dogs would love these! They pretty much love all treats but if I can feel good giving them, even better. Oh, my dogs would have loved these! I always tried to get them natural treats. I now my dogs would love these, especially the Duck Sausages. My dogs always want more treats! My mom's dog LOVES beef sticks. I haven't seen this brand, but will definitely be on the hunt for them now! Oh my goodness my dog would love these. I need to grab her some next time I am out! Oh I'm sure my dogs would gobble these up. We have 2 dogs and are very picky about what treats we give them. Thanks so much for sharing. I'll have to check these out. What a wonderful set of treats to help satisfy the canine craving for treats and our desire to give them something healthy, yet yummy. I'll be checking into the Loving Pets delights you mentioned in this article.